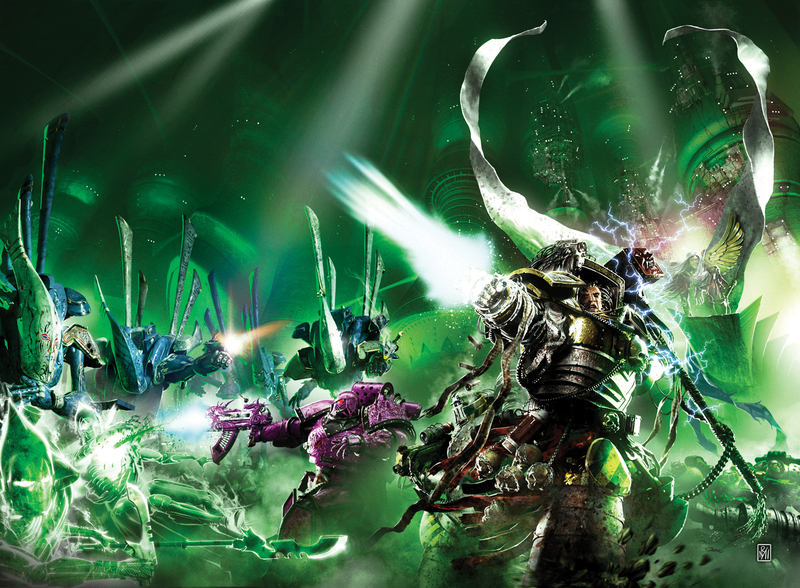 A Warhammer 40,000 background book that resembles an artefact of the 41st millennium in tone. 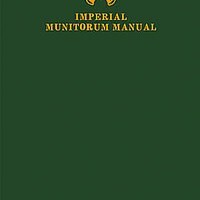 In the style of a military weapons catalogue, it features over sixty sketches of equipment and kit utilised by the Imperial Guard as well as details about the organisation that provides it, the Deparmento Munitorum. This was a book I wrote not long after I went freelance full time. It was a book born out of a need to work and a niche for a product coming at the same time. Black Library were superb when I took the plunge, finding me lots of work at a time I needed it most. Setting out as a freelance pirate is a tough challenge, and it’s these opening moments where the biggest waves try to drag you under. The practicalities of living as a freelancer when you’ve a mortgage to pay mean you need to work fast and work a lot. Both of which I managed to do with some support from BL and the fans who bought my books. In case I haven’t said so before, thank you for that. Writing this kind of book is always fun, as you get to mix real-world military stuff and bend it, stretch it and generally do things you couldn’t get away with in a novel. I got really into the text for each item of equipment, borrowing from real items and giving them a 40k slant to the tone of writing that was tricky, but fun, to maintain throughout the book. I imagined a bureaucrat writing the book, filled with his own self-importance and utter disregard and lack of empathy for the guys and gals who’d actually have to read and make us of his words. The artwork helped enormously, and despite my best attempts at wordy rigour, I still wrote far too much – though that extra content appeared on the web and wasn’t wasted. When you’re writing a novel, you want to maintain a clear voice that stays consistent through the book, and here was no different, but the voice I wanted here was one I’d normally try to avoid. That made the book a real challenge, as I wanted it to sound like an insanely bureaucratic nightmare. To help, I regularly consulted the Plain English (specifically, their Golden Bull award) to find language that was overly complex, needlessly convoluted and maddeningly obscure. All of which made some of the Departmento Munitorum’s labyrinthine sentences a joy to write.